Each of the two double cabins are bright and airy and have their own access stairway for extra privacy onboard. The spacious and well laid out flybridge features a single helm seat, sunbed, sizeable dining area and wet bar with BBQ grill. The Prestige 420 comes with two Volvo IPS 400 engines as standard for maximum power and efficient handling. Prestige 420 - Ref 29293 has been saved to your account. The Prestige 420 is the smallest model of the Prestige Flybridge range. However just because she is smaller, it doesn't mean she hasn't inherited all the greatest attributes of her larger sisters. The innovative DNA of the Prestige range shines through, with an aft galley providing one-level living, a separate staircase to the owner’s cabin and the 360 degree panoramic views from the large windows of the main saloon. The layout of her main deck makes life on board easy, while the large cockpit protected by the long flybridge is a natural extension of the living space. The spacious flybridge features a single helm seat, sunbed, dining area and a wet bar with BBQ grill. Soak up the rays and enjoy the view from the large sunbed on the bow. Take control and enjoy the freedom of driving from up top. The flybridge helm station has full controls and navigation as well as excellent visibility. Nick has been an integral part of the Group since he joined us to work weekends while at Chichester University! Nick took a full time position in 2007 at the Port Hamble office shortly after graduating and was delighted to move to our Lymington office in 2008 where from 2009 he assumed the role of Office Manager for this extremely successful branch of the network. 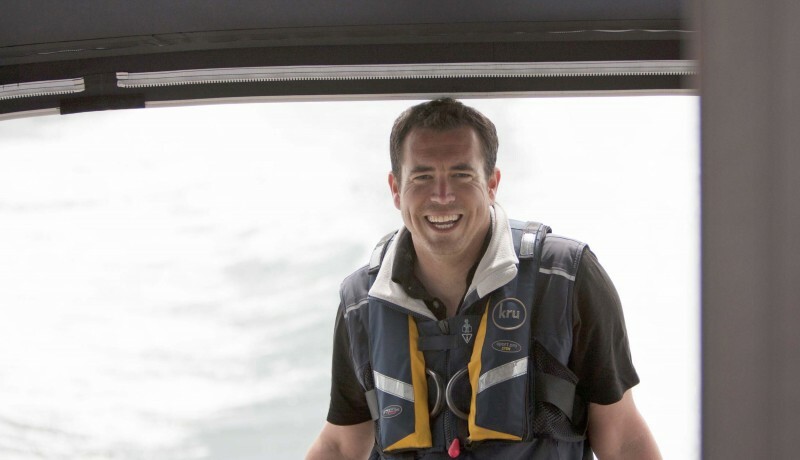 Excelling as a Brokerage Manager, Nick’s appointment as the Prestige Brand Manager in 2014 was a natural progression and we are thrilled to have him back in the fold of Ancasta's head office in Port Hamble. The Prestige brand and most importantly sales have grown significantly in the UK since Nick took over the reins with Ancasta being awarded the ‘Prestige Dealer of the Year’ twice during Nick’s tenure in 2016 and again in 2018. In 2016 Nick was invited to join the senior management team at Ancasta and has since been an influential member of the board helping implement new strategies to further grow the business. In 2017 Nick’s relationship with Prestige played a major part in Ancasta being appointed as the main dealer for the Balearics. Out of work (yes we do let him have time off once in a while!) Nick is a very outdoor person who loves yacht racing, snowboarding, mountain biking, enjoying time with his family and has even been known to run the odd half marathon or two!